The Man Of The Woods Tour is named after Timberlake’s forthcoming album Man Of The Woods, set for release on February 2. The new material will give a self-reflective look at his journey into fatherhood, and offer up personal insight into his layered life experiences. Timberlake is slated to headline the Pepsi Super Bowl LII Halftime Show on Sunday, February 4. This will be his third time performing at the most watched musical event of the year, making it the highest number of appearances by an individual entertainer. Timberlake’s last tour was the critically acclaimed The 20/20 Experience World Tour, which sold out arenas and stadiums around the globe in 2013 and 2014. American Express® Card Members can purchase tickets before the general public. 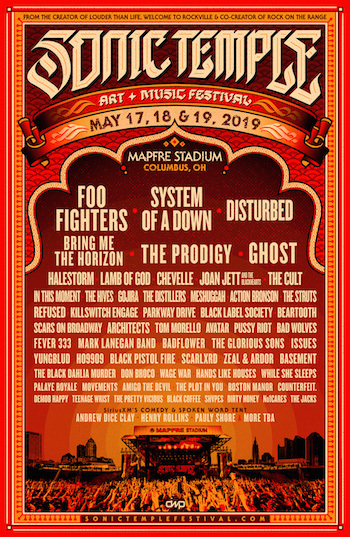 For dates on sale to the general public on Tuesday, January 16, the American Express presale begins Wednesday, January 10 at 10am local time through Sunday, January 14 at 5pm local time. For dates on sale to the general public on Monday, January 22 the American Express presale begins Wednesday, January 17starting at 10am local time through Sunday, January 21 at 5pm local time. For dates on sale to the general public on Monday, January 29the American Express presale begins Wednesday, January 24 at 10am local time through Sunday, January 28 at 5pm local time. “Our Card Members love music and we have a long history of bringing them memorable experiences with the industry’s hottest artists. 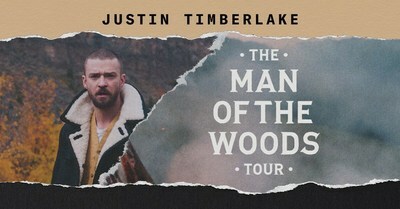 Justin Timberlake is one of music’s biggest stars, so we are thrilled to announce our partnership, which begins with the American Express Card Member presale for his widely anticipated The Man Of The Woods Tour,” shared Walter Frye, Vice President of Global Entertainment Partnerships at American Express. Tickets will be on sale to the general public starting Tuesday, January 16 at Ticketmaster.com. Members of The Tennessee Kids Fan Clubare also eligible for pre-sale ticket purchases starting Wednesday, January 10th. For complete The Man Of The Woods Tour VIP packages information or to purchase, visit www.VIP.justintimberlake.com. The GRAMMY® Award-winning, multi-platinum selling artist was nominated for an Academy Award® in 2017 for the song “CAN’T STOP THE FEELING!” from the film Trolls, for which he also won his 10th Grammy. As an actor he has appeared in a variety of films including Alpha Dog, Black Snake Moan, Shrek The Third, The Social Network and most recently Wonder Wheel. Additionally, Timberlake has won four Emmys for his appearances on Saturday Night Live. Verizon Up is a rewards program that is breaking the mold with once-in-a-lifetime experiences, VIP tickets to events and everyday rewards. Rewards are earned by simply paying your monthly Verizon Wireless bill. For every $300 spent you earn one credit that can be redeemed for rewards and experiences. One credit equals one reward, super simple. Each credit allows for instant gratification which means as soon as you earn it, you can use it.